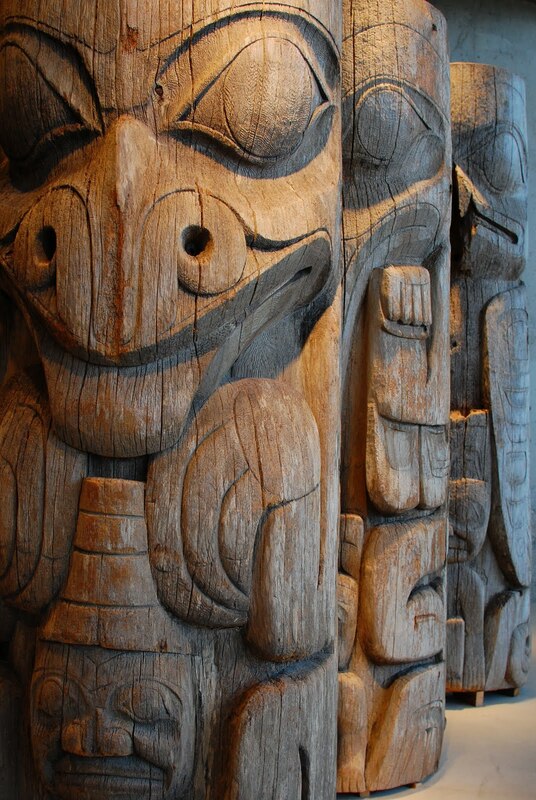 Here are three segments of the house-front pole of a Haida household on the Queen Charlotte Islands. It faced outwards from a house in Tanu around 1870. Red cedar lasts longer than many woods, but nothing would help it if exposed to the moist elements of the northwest over century-scale timeframes. 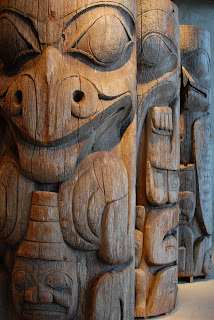 Fortunately, it was claimed by the BC Totem Pole Preservation Committee in the 1950s, and has been housed in the dry comfort of the UBC Museum of Anthropology since 1976. There's another impressive Tanu totem pole held by the Smithsonian, and allegedly displayed at the National Museum of Natural History.